Sleep researchers from University of California campuses in Riverside and San Diego have identified the sleep mechanism that enables the brain to consolidate emotional memory and found that Ambien, a popular prescription sleep aid, heightens the recollection of and response to negative memories. Their findings have implications for individuals suffering from insomnia related to post-traumatic stress disorder (PTSD) and other anxiety disorders who are prescribed zolpidem (Ambien) to help them sleep. The study was funded by a National Institutes of Health career award to Sara C. Mednick, assistant professor of psychology at UC Riverside, of $651,999 over five years. Mednick and UC San Diego psychologists Erik J. Kaestner and John T. Wixted determined that a sleep feature known as sleep spindles — bursts of brain activity that last for a second or less during a specific stage of sleep — are important for emotional memory. Research Mednick published earlier this year demonstrated the critical role that sleep spindles play in consolidating information from short-term to long-term memory in the hippocampus, located in the cerebral cortex of the brain. Zolpidem enhanced the process, a discovery that could lead to new sleep therapies to improve memory for aging adults and those with dementia, Alzheimer’s and schizophrenia. It was the first study to show that sleep can be manipulated with pharmacology to improve memory. “We know that sleep spindles are involved in declarative memory — explicit information we recall about the world, such as places, people and events, ” she explained. But until now, researchers had not considered sleep spindles as playing a role in emotional memory , focusing instead on rapid eye movement (REM) sleep. Using two commonly prescribed sleep aids — zolpidem and sodium oxybate (Xyrem) — Mednick, Kaestner and Wixted were able to tease apart the effects of sleep spindles and rapid eye movement (REM) sleep on the recall of emotional memories. They determined that sleep spindles, not REM, affect emotional memory. The researchers gave zolpidem, sodium oxybate (Xyrem) and a placebo to 28 men and women between the ages of 18 and 39 who were normal sleepers, allowing several days between doses to allow the pharmaceuticals to leave their bodies. The participants viewed standardized images known to elicit positive and negative responses for one second before and after taking supervised naps. They recalled more images that had negative or highly arousing content after taking zolpidem, a finding that also suggests that the brain may favor consolidation of negative memories, she said. The study may have even broader implications, the researchers said. Clinical guidelines of the U.S. Department of Veterans Affairs and Department of Defense recommend against the routine use of benzodiazepines to treat PTSD, although their use increased among men and women with PTSD between 2003 and 2010. 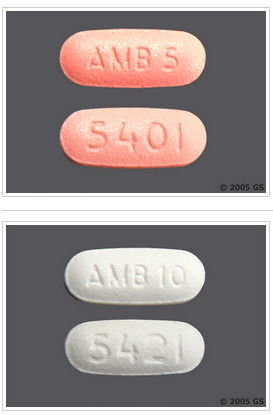 The effects of benzodiazepines on sleep are similar to those of zolpidem. The U.S. Air Force uses zolpidem as one of the prescribed “no-go pills” to help flight crews calm down after taking stimulants to stay awake during long missions, the researchers noted in the study.